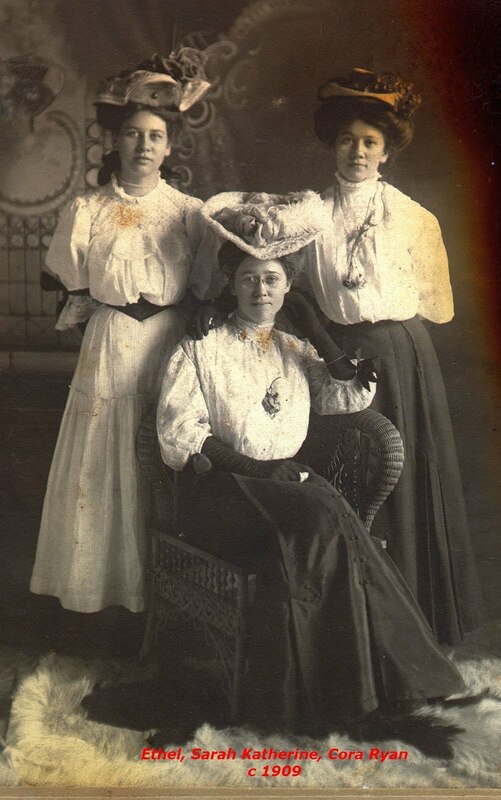 In 1910 the three oldest daughters of Edward and Lillie Wood Ryan were “in a family way.” Sarah Katherine Ryan Kinert, the eldest, already had a young son, Floyd. It would be the first for Cora Ryan Lipp and Ethel Ryan Downing. Their mother was also expecting. On August 9, 1910, the Ryan sisters’ youngest sister Margaret was born. On August 26 Ethel’s eldest son Orville was born. On December 1 Cora’s only child Dorthalene was born. On January 18, 1911, Sadie’s daughter, Adela, was born. Then things went terribly wrong. Eight days later Sadie died, apparently of sepsis. The widower was unable to take care of the children and work too. Floyd went to live with Cora. Adela was raised by another family. Cora and Ethel lived past 80. Floyd died of an infection at 28. I never knew Adela. My mother never met her. I don’t recall hearing her mentioned except in response to direct questions. By the time I had enough information and the internet to track her down she had died. 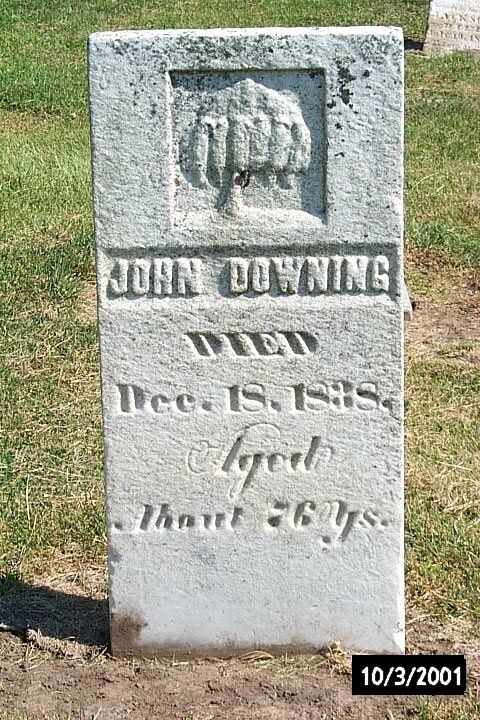 The stone and military markers for John Downing at Bowers Templeman Cemetery. 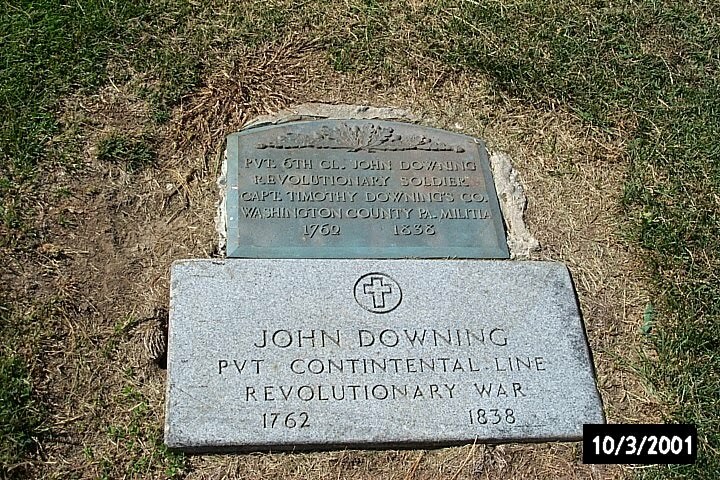 The DAR marker is cemented in because the first one was removed, apparently as a souvenir. Unfortunately, it has the wrong service on it. He was actually in Capt. James Scott’s Company.